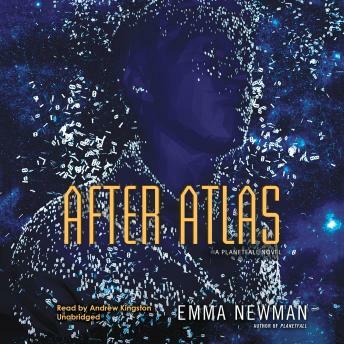 Acclaimed author Emma Newman returns to the captivating universe she created in Planetfall with a stunning science fiction mystery where one man's murder is much more than it seems. Gov-corp detective Carlos Moreno was only a baby when Atlas left Earth to seek truth among the stars. But in that moment, the course of Carlos' entire life changed. Atlas is what took his mother away; what made his father lose hope; what led Alejandro Casales, leader of the religious cult known as the Circle, to his door. And now, on the eve of the fortieth anniversary of Atlas' departure, it has something to do with why Casales was found dead in his hotel room-and why Carlos is the man in charge of the investigation. To figure out who killed one of the most powerful men on Earth, Carlos is supposed to put aside his personal history. But the deeper he delves into the case, the more he realizes that escaping the past is not so easy. There's more to Casales' death than meets the eye, and something much more sinister to the legacy of Atlas than anyone realizes.